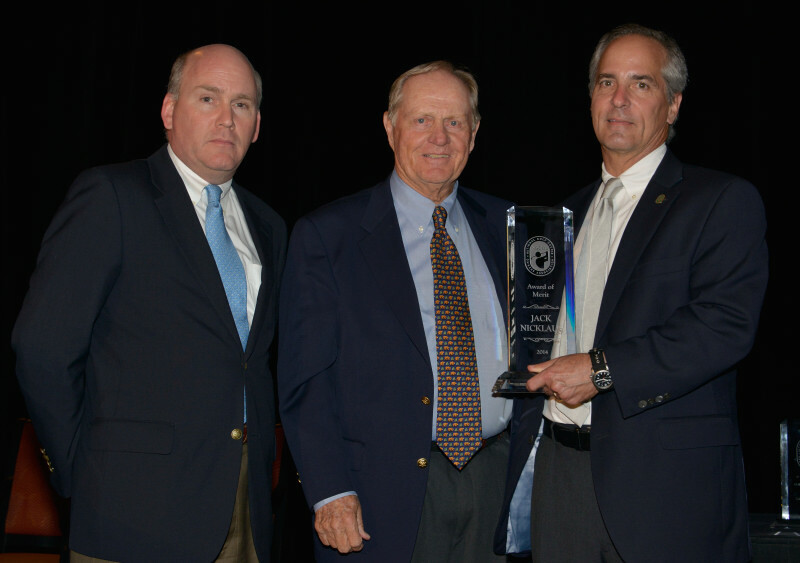 Jack receiving the National Golf Course Owners Association’s Award of Merit from NGCOA CEO Mike Hughes (right) and incoming President Matt Galvin. “You gave me a new passion, a new love,” Nicklaus said, referring to his company’s design of some 380 courses in 36 countries and 39 U.S. states. “I owe a heartfelt thanks to every owner and operator who has believed in me and has given me the opportunity to turn an avocation into a vocation. At the NGCOA’s annual Celebration Dinner and Awards Gala, the association also recognized the 2014 Course of the Year and winners of its other top awards. The Jack Nicklaus Signature Course at The Clubs of Cordillera Ranch, a community which sits on 8,700 acres in the heart of Texas Hill Country, was named the NGCOA’s 2014 Course of the Year. The award honors a member course demonstrating excellence in course quality, ownership and management and for contributions to its community and to the game. About 40 minutes north of San Antonio, The Clubs of Cordillera Ranch is a Nicklaus design that winds its way over 780 acres of rugged landscape. Cordillera opened in May 2007 and has taken a consistent position among the state’s top-ranked courses. Finalists for the Course of the Year Award included Miacomet Golf Course in Nantucket, Mass. ; Jack Kramer’s Los Serranos Country Club in Chino Hills, Calif.; and Tam O’Shanter Golf Course in Canton, Ohio. The NGCOA’s Annual Conference is the golf industry’s largest gathering of owners and operators of daily fee, private, resort and municipal courses.